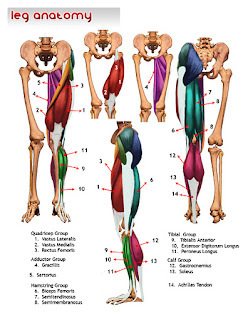 The first step in learning anatomy is memorizing the location of the main muscle groups. Then understand how they function, including their origins and insertions. 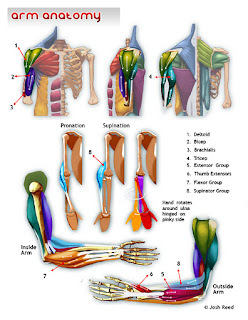 Lastly, see muscles as forms that lay on top of the skeleton armature. These handouts and the site in general are just wonderful! Anatomy has always been really intimidating to me and all the books I have are either completely useless or just overloaded with information that I just can't bring myself to sift through. I love the way your site just gives me very digestable chunks of information, it really keeps me going! Thank you! 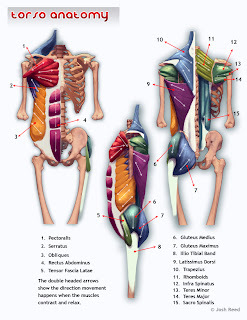 Learning anatomy can be so exciting, it unlocks the mysteries of what the heck is going on under that skin. Glad that you are finding the pages helpful! Don't have any of the other accounts so anon will have to do. Just found this while browsing Google for muscle anatomy and I have to say this is perfect for learning. 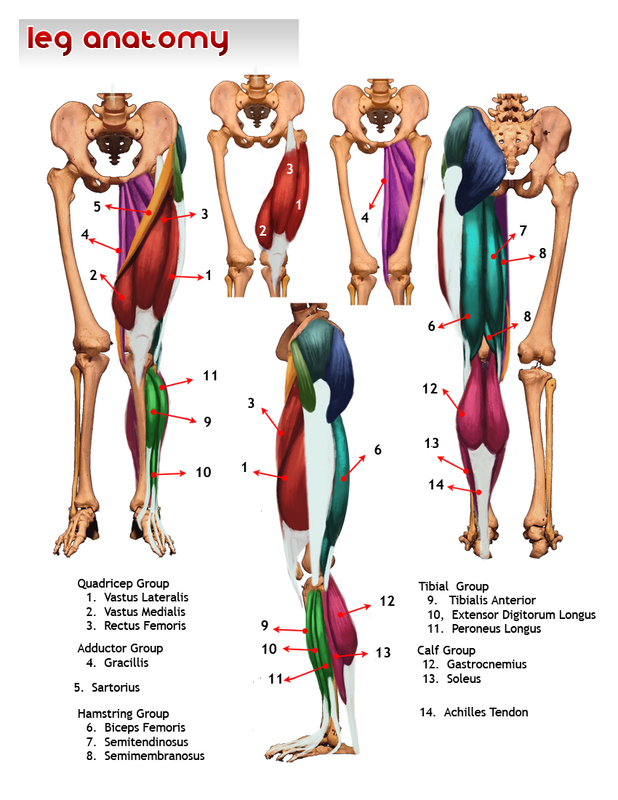 While I redraw these myself I'll be learning the muscle position, name and direction of movement. Something which beats an hour long lecture or pointless copying of text as homework.